Today marks the UAE Environment Day. Among its goals is to encourage people across the UAE to adopt a more sustainable lifestyle. That is a message that becomes more pressing as each day passes, as more and more of the world’s natural resources are consumed by its ever-growing population. The United Nations projects that the global population will increase to 9.7 billion by 2050, while the Population Institute states that by 2030, the world will need 50 per cent more food and energy and 30 per cent more water. That is why encouraging people to be more sustainable is also a key goal of Expo 2020 Dubai. The concept of sustainability is deeply ingrained in the history and culture of the UAE, where the survival of our people has depended on successfully adapting to a harsh climate and the clever use of limited resources. And, across the world, scientists and academics are working day and night to find solutions to problems that must be overcome if our world is to become truly sustainable. However, to many of us, the concept of sustainability can be overwhelming, populated with complex terms and technology that seem out of our reach. So it is vital that there is a bridge that connects everyday people with the knowledge and technology they need to be sustainable. After all, small changes can make a big difference, whether it’s cutting emissions by not making unnecessary car journeys, turning off the tap while brushing our teeth or avoiding waste by only buying what we need from the store. This is why Expo 2020 Dubai has placed sustainability at the heart of what we are doing. It is much more than just one of the Expo’s three subthemes — it is integrated into everything we do and will be expressed through multiple dimensions, including construction, logistics, operations, exhibition content and education. Our Sustainability Pavilion, which will be a centrepiece structure of the 4.38 square kilometre Expo site, promises to be a marvel of imagination and engineering. We have ambitious targets to make it self-sustaining so that it takes all of its energy and water needs through some incredible designs based on nature’s own way of harnessing the twin powers of the sun and the Earth’s atmosphere. I hope we will attract plenty of people to see this pavilion simply through its functionality and wonderful architecture. 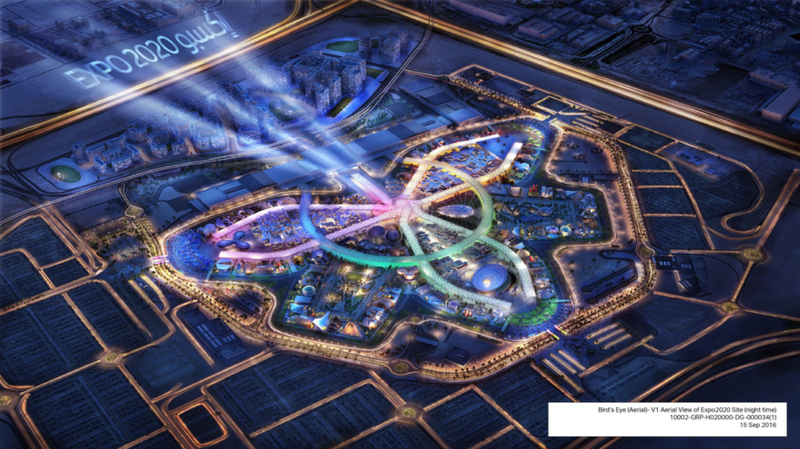 But to me, and those closest to this project, it is what it symbolises and what it will continue to symbolise long after Expo 2020 Dubai closes that is most important. This is not a building alone and it is not simply about curating an experience. This is about trying to create a truly catalytic change in the mindsets of those who come to visit. We want to change perceptions and ensure those who visit the pavilion leave feeling empowered to change their own lives. The Sustainability Pavilion will offer them something very different, something that they probably are not exposed to within a 1,000-mile radius. It will open their eyes, we fervently hope, to a new vision of the world they live in and if they walk away with a fresh sense of purpose as the possible future guardians of our precious planet, then that will be a proud moment for the Expo 2020 Dubai team. In my mind’s eye, I see a group of young people coming to the pavilion and witnessing some of the wonders of our natural world, maybe as simple as the life-cycle of a tree. We want them to leave inspired with a memory that will last a lifetime and a new-found respect for their environment — and we want them to feel empowered to protect it. So we see our mission with this pavilion, and so, so much more at Expo 2020 Dubai, as nothing less than a moral obligation to ensure that these touchpoints of education and inspiration are powerful, lasting and relevant. That last point is key. We have this wonderful gift as the hosts of this World Expo to touch so many lives and it is important that the experience strikes a chord with our own people and those visiting from other countries: We are not London, we are not New York City, we are not Hong Kong. It will be a UAE experience, reflecting our heritage and culture and the things that we really care about. And, I promise, it will be magical. Marjan Faraidooni is vice-president of Legacy Impact and Development for Expo 2020 Dubai, playing a key role in ensuring that Expo not only leaves a physical footprint, but economic and social legacies as well.